Two short hours ago I bought a shiny new second hand espresso machine from eBay. It’s a Gaggia Classic, often toted as the bare minium entry level espresso machine. It was a close call between this and a La Pavoni lever machine. After lurking on eBay for what has seemed like a lifetime, eventually I found the right one at the right price. 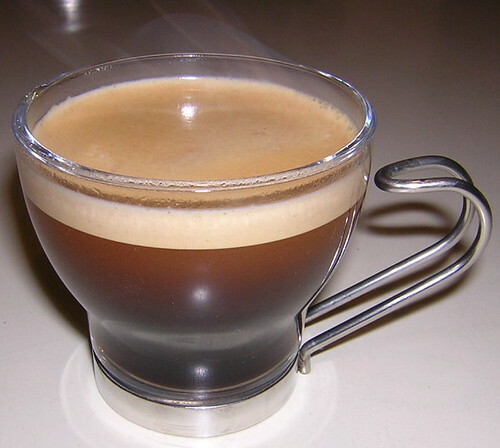 I’m extremely excited about the prospect, but after talking about espresso for so long I just hope I’m cut out for it. I’ve scoured the internet for months (maybe years), and its obvious that coffee is serious business. You can’t pull a shot of espresso on youTube without a barrage of abuse from Uber Barista’s waiting to put you down. I must now step up to the coffee machine and prove myself, but I don’t think I’m ready. Tamper – to tamp those coffee grounds to the correct consitancy, the plastic tamper supplied with the machine just isn’t good enough. Grinder – probably most important of all! I only have a feeble Hario Mini Mill. The ‘Uber’s’ over at Coffee Geek inform me that a grinder that costs less than £150 is a waste of space. Knock Box and Tamp Mat – Once you’ve made an espresso that tastes like ‘Jesus in velvet trousers’, you need somewhere to knock those spent grounds. Rancilio V3 Steam Wand – That plastic piece of crap on the side of the Gaggia is apparently just that, it must be replaced! Standard Basket – With the Gaggia Classic they have tried to be cleaver by creating their own pressurised basket, this doesn’t work, get rid of it and buy a normal one. Shot glasses – I can’t believe I don’t own any already. Without these I might have to guess when I’ve poured the correct amount. My machine isn’t even in the post yet and I’m already wondering how to upgrade it. I can see this being an expensive adventure, and I’m sure I’m just scratching the surface.